When searching for the right place to stow away a firearm, one usually ends up stuck with a boring plastic or metal box. With an On Display gun box, that won't be an issue! 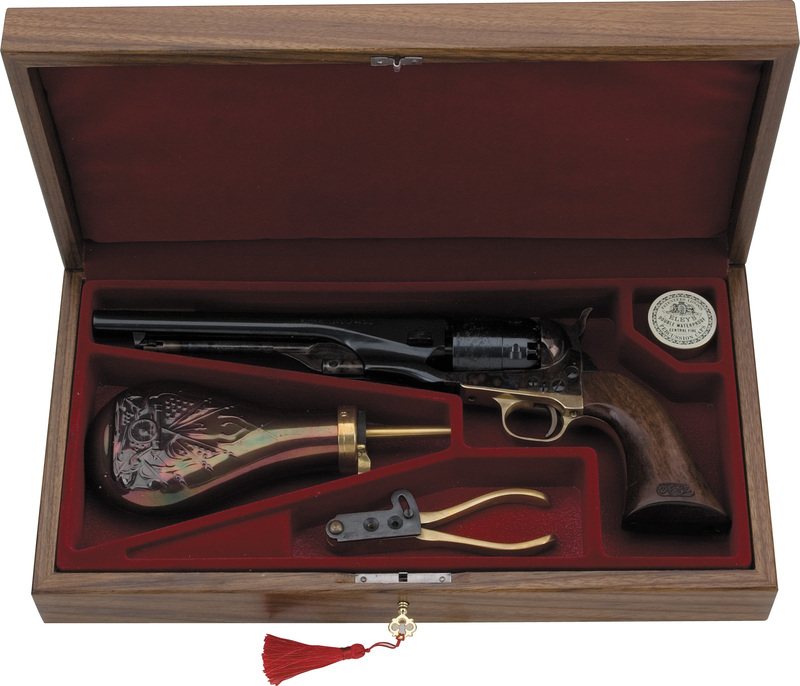 Their line of solid lid gun cases boast sturdy frames and lids that are elegantly crafted from finished Cherrywood, changing something plain and boring into an article of the utmost aesthetic appeal. Every box comes with its own lock and key, and the interior is lined with soft RichVel fabric. Each box is designed to hold your specific gun in a French fit placeholder, so it can be safe and snug inside. 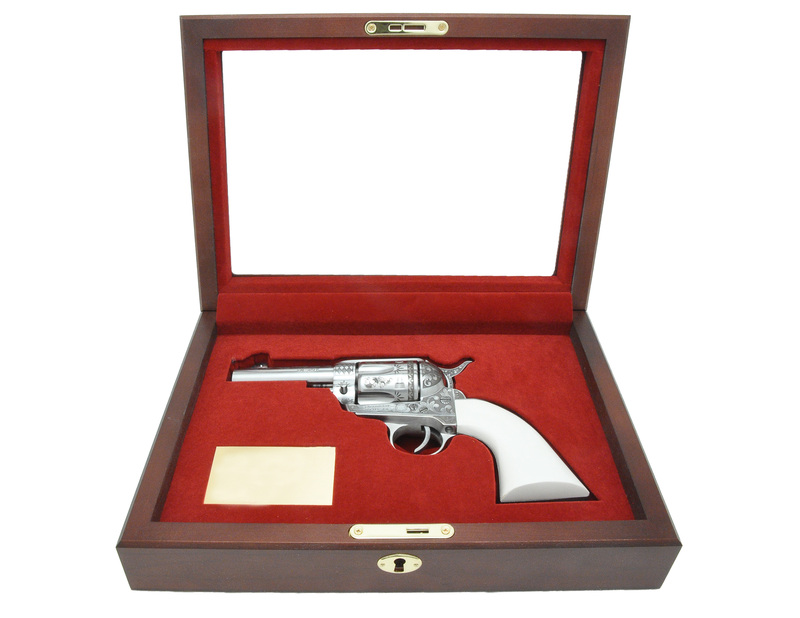 All On Display boxes are custom made to house any gun or knife, no matter the size or shape, shown with a Glass Lid or Solid Lid. Every one of the boxes is fit for the finest articles, lined with a felt-like material that protects any metal finish while accentuating whatever may lie on top. 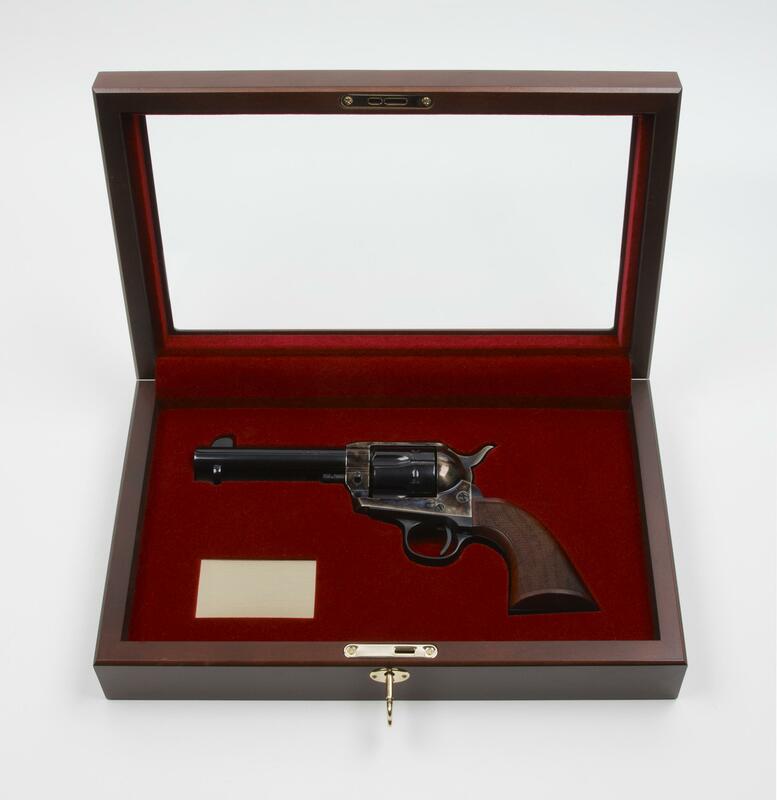 SINGLE ACTION PRESENTATION CASE - 4 3/4"
SINGLE ACTION PRESENTATION CASE - 5 1/2"
SINGLE ACTION PRESENTATION CASE - 7 1/2"
SINGLE ACTION PRESENTATION CASE - 3 1/2"
EMF Company Copyright 2009-2019 All rights reserved.